Daniel Island is a fairly new community, but it feels as if it's been around forever. It has become seamlessly woven into the fabric that is the Lowcountry. People have quickly discovered its quality of life, its sense of community. Based on how small towns used to be but rarely are anymore. with sidewalks and neighborliness, with churches, schools and shops, doctors, vets, athletics - pretty much everything you need within a short distance from home. Designed with such timeless wisdom in mind, and turned into reality in a downright effective and tasteful way. Daniel Island Park is like a resort within a town, an enclave of luxury and elegance that still manages to be relaxed. It's like those people you've met in life who personify true class. Daniel Island's schools are drawing the best and the brightest (students, athletes, teachers). The tennis stadium hosts the finest female players in the world each April, at the Family Circle Cup. 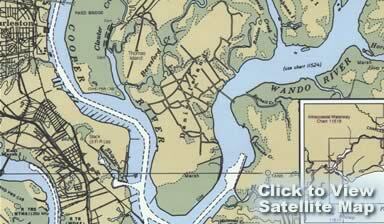 Daniel Island has already become a new gem in the crown that is Charleston, a noble member of her court of islands that surrounds her. And, lucky for you, some of the best real estate in coastal South Carolina is available right here.